Air Fryer Vegan Recipes. I have put together a great list of 21 magical air fryer vegan recipes for you to test out in your air fryer. With a mixture of plant based (vegan oil free air fryer recipes) as well as traditional air fryer vegan recipes, we have it covered! I have always admired the vegan and the plant-based diet. It always seems to me as the healthiest diet that you could ever be a part of. I hate all these diets that focus too much on processed foods or eating excessive amount of meat. If you look at our grandparent’s generations and the World War 2 rations it was very close to the vegan lifestyle. Yes, they had meat and dairy but as it was in such small portions it was like they were vegan 5 times a week. They relied heavily on their home grown fruit and vegetables and probably got 10 portions of fruit and veg a day rather than the recommended 5. But even though I know it is the healthiest I could possibly be, I could never last on the vegan lifestyle. I love my Greek Yoghurt, Cheese and Honey too much. But I could probably go vegetarian again if I wanted to. Though with having such a meat obsessed husband he might not forgive me! So, in the Milner house our compromise is that each Monday we do our own Meatless Monday. We will be at least vegetarian (sometimes vegan) and it allows us to be in the BEST possible health. Whether you love meat, vegetables, vegan or are plant based, then these vegan air fryer recipes are for you! But before I dive in with all of my delicious vegan air fryer recipes I wanted to share with you the details of the air fryer that we currently own. We have the Philips Airfryer XL. In my opinion it is the best air fryer out of all the ones I have tried and its perfect for couples and for families. Due to its size it means that you make all in one meals in it, rather than just using it for Air Fryer French Fries. Its not the cheapest Air Fryer but it’s a case of you get what you pay for. Its quality and it will last you a long time. Our first lasted us over 5 years and we only replaced it because the basket broke and we wanted to try out the latest version. I browsed through the archives of the air fryer category here at RecipeThis.com and came up with 21 vegan air fryer recipes that I truly love. These recipes are all very easy to make and are worth keeping for future reference as you add more and more recipes to your air fryer list. Magical Vegan Air Fryer Recipe Because…… Nearly every carrot recipe involves honey, making it difficult for vegans. This recipe doesn’t and instead is loaded up with seasoning and a little olive oil. Magical Vegan Air Fryer Recipe Because…… If I could eat these forever, then I would. They are a HUGE addiction of mine. Crunchy like popcorn, full of Indian flavours, its perfect for snacking on when you’re hungry. Magical Vegan Air Fryer Recipe Because…… Avocado is my life. I love them and have them as much as I can. If the price is good for them, then you will see them in my fridge. In this recipe we are showing you how to bread them and OMG have this for breakfast as it’s the best! Magical Vegan Air Fryer Recipe Because…… One of my favourite types of food here in Portugal must be Piri Piri (or Peri Peri if you use the South African spelling). It is truly delicious and now with Nandos taking the world by storm its must eat food. But with it being about the chicken, you will be pleased to know that there is also beanie burgers for a quick vegan fix. Magical Vegan Air Fryer Recipe Because…… This has to be the plant-based vegan air fryer recipe for lazy people. For those of you that hate chopping and peeling pumpkins. Just grab your pumpkin wedges, throw them in and season! Magical Vegan Air Fryer Recipe Because…… Or following on from this theme. 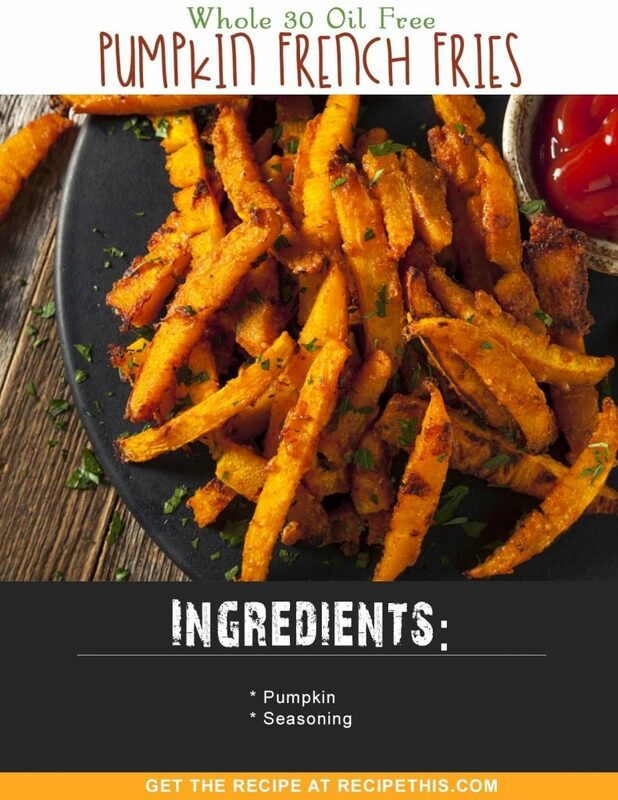 This is how to make air fryer pumpkin fries without oil. I always say to myself after eating these “why don’t I cook these more often?”. Magical Vegan Air Fryer Recipe Because…… This is another favourite if you like Indian food. You use some vegan granola is the binding agent and this means they can be egg free. Magical Vegan Air Fryer Recipe Because…… So many fritter recipes call for a lot of egg and a lot of flour and often taste nice but are unhealthy. These are egg free and loaded with seasonal vegetables. Magical Vegan Air Fryer Recipe Because…… I’ve never really used lentils much when I have been cooking. But when I do I love them made into burgers and then cooked in the air fryer. Magical Vegan Air Fryer Recipe Because…… When I originally recipe tested these, they were meant to be vegetarian and contain cheese. But we did a batch without cheese as we ran out and realised they tasted better vegan and cheese free. Magical Vegan Air Fryer Recipe Because…… Sliced apple just tastes the best in the air fryer. It is amazing and perfect for snacking on when you are hungry in between meals. Or serve this instead of popcorn on nightly Netflix marathons. Magical Vegan Air Fryer Recipe Because…… I love sliced potatoes like this. Thinly sliced so quick to do, then seasoning of choice added in. It makes a lovely change to French Fries. Magical Vegan Air Fryer Recipe Because…… After sliced sweet potato comes sweet potato wedges. OMG so good and perfect also if you follow Paleo and want an alternative to your regular white potatoes. Magical Vegan Air Fryer Recipe Because…… I love sweet potato fries and if sweet potatoes are in season, this is how they go in our air fryer. Because they are softer when cooked than white potatoes, it means they need less oil and often take less time to cook. Magical Vegan Air Fryer Recipe Because…… Or for a mixture of fries, why not put some seasonal vegetables into the air fryer and make vegetable fries? They are delicious and so healthy too. Magical Vegan Air Fryer Recipe Because…… One thing that I love to make in my air fryer is croutons to go with my soup. They only require a couple of ingredients and just use your favourite vegan bread. Magical Vegan Air Fryer Recipe Because…… Back to the potato wedges and this time we are making them with white potatoes. I find that we have these a lot on a Friday night as a side dish for whatever we’re having for supper. Magical Vegan Air Fryer Recipe Because…… These are our famous French Fries for the air fryer. Delicious and like what you would get from the chip shop, just with less calories and a lot less oil. Magical Vegan Air Fryer Recipe Because…… Everyone loves a bit of fun with their French Fries and this is how to make the curly ones. Not just for kids as us grownups never grow out of these. Magical Vegan Air Fryer Recipe Because…… We’re finishing our set of French Fries with crinkle cut ones. The great thing about crinkle cut fries is that you can cook them with a lot less oil without them feeling like they are dry. Magical Vegan Air Fryer Recipe Because…… Finishing off the countdown we have air fryer rosemary roast potatoes. If you miss roast potatoes now that you follow a healthy diet and want something delicious in the air fryer, then these are for YOU. That concludes our top 21 vegan air fryer recipes. We hope you have enjoyed our countdown and we will of course be adding more vegan air fryer recipes, when we can.